Video is now recognised as the most effective communicative tool on the Internet. Before embarking on a video strategy however, a company needs to take the following into account. How and where are you going to store your videos? What do you want to do for video hosting? 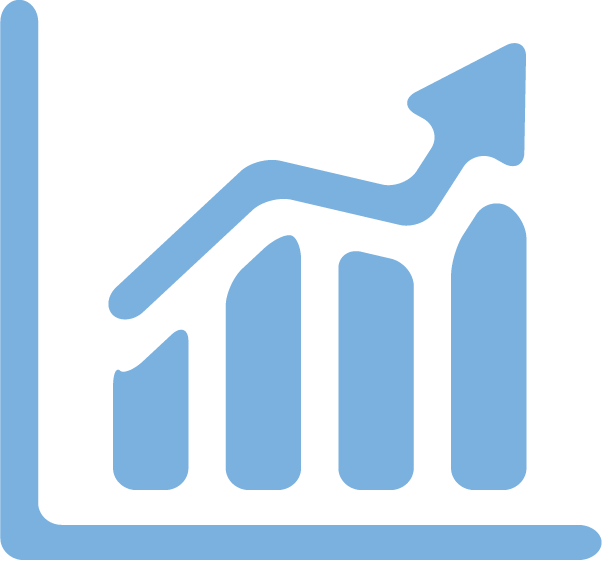 Which statistics are relevant to you? What needs to be considered if you want to start monetising your video content with advertising? With Blue Billywig's Online Video Platform, we provide solutions for all of the above, so you can focus solely on your customers . 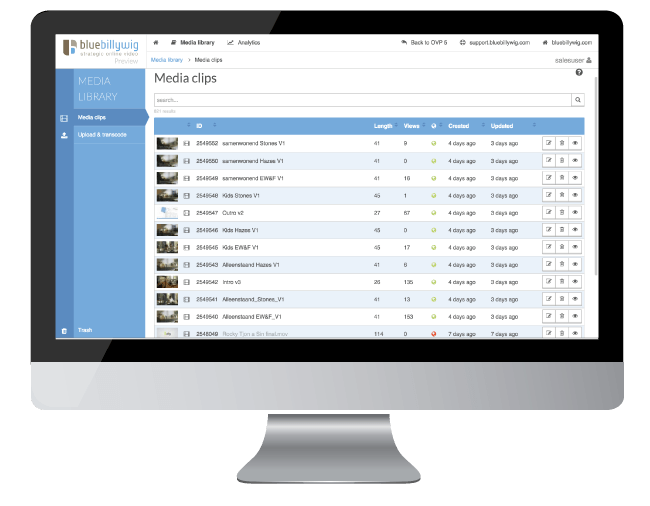 From audio files to live video streams, Blue Billywig enable companies to manage and organise their video content clearly and simply in our video library. We provide possibilities to assign roles and rights to different departments or individuals within your organisation so that the various tasks can be clearly defined, creating a smooth working environment. Uploading is fast and simple with drag and drop functionality, and by tagging your videos, sorting and filtering is a straightforward process. This also applies for compiling your own playlists. All these features combined result in a simplified way to manage all your video content. With the Blue Billywig Online Video Platform, we provide features that make the publishing of video content effortless. Your videos will be uploaded, encoded, and quickly transcoded to all popular formats. 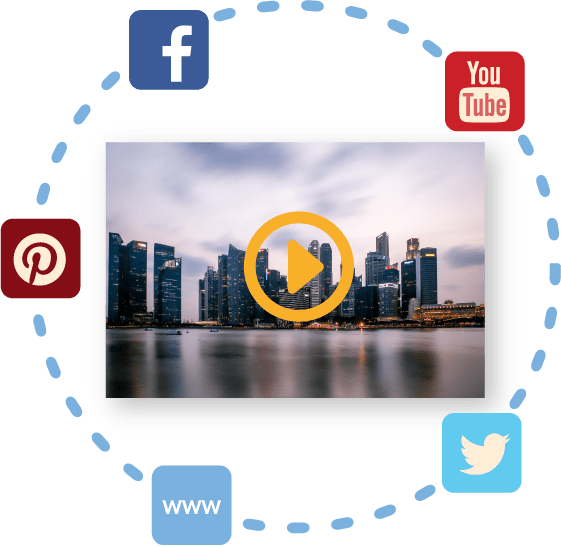 Videos will always be automatically streamed in the highest possible quality, and can be played on every conceivable screen, device, channel and even on television. This is all presented in a customised player designed in your own style. What are the returns on your video investment? What can you learn about your target group and what they do with your videos? We track various video analytics that measure both interest and engagement so that you get in-depth insights into your viewer’s behaviour. 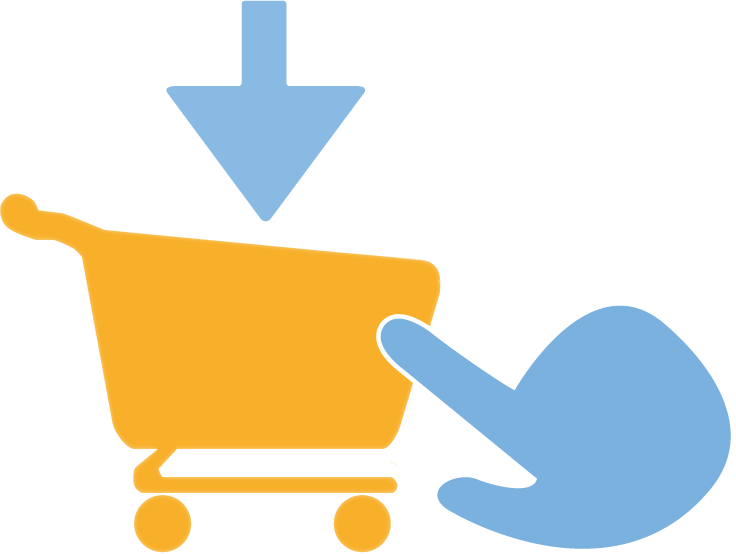 The data generated can easily be integrated into the software of the most commonly used statistic suppliers so that you can bring all your important data together. The most commonly asked question when talking about online video is: What are the returns? With Blue Billywig’s Online Video Platform there are multiple possibilities to earn money with your content. Earn by displaying adverts, offering (paid) livestreaming, or converting your viewers into active participants with interactive video. We questioned 300 marketeers about their view on online video. What video formats are most popular? What is the main objective for using video? What do they see in the future of video? Download a free copy of the whitepaper.